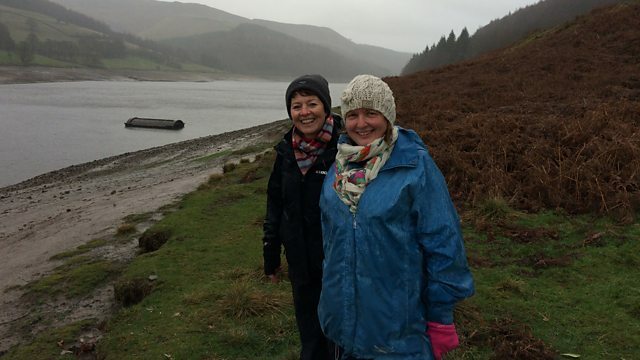 Helen Mark is in Derbyshire to find out about the Derwent, Howden and Ladybower reservoirs. She hears their stories and learns about the impact they've had on the local landscape. In this programme Helen Mark is in Derbyshire to hear the stories of the reservoirs of the Derwent valley. Under one of them, Ladybower, lie the remains of two villages which were demolished and flooded to make way for a new reservoir in the 1940s. After an exceptionally dry year, water levels have dropped so low that the stones of the past can once again been seen emerging from the mud. Helen meets the people who have travelled to the area to catch a glimpse of a long-gone community, and learns about the fascination the story of the lost villages holds. Meanwhile, further up the valley, are the remains of another village - largely ignored by the tourists. Birchinlee, or "tin town" as it was known, was built to house the navvies working on the construction of the other two reservoirs of the valley - Dewent and Howden. Helen meets an archaeologist who shows her how traces of this once-bustling settlement can still be seen in the landscape today. Pond life or fairground attraction?